The K70 RGB Rapidfire features a clean, straightforward design and looks quite imposing overall. 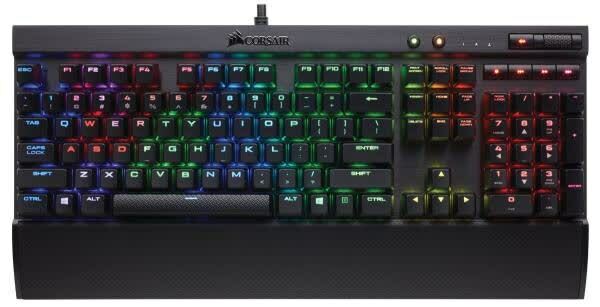 This is complemented by multi-color LED per-key backlighting, which is configurable to create various lighting effects (or download pre-designed ones) through the Corsair Utility Engine, where you can also play with reprogramming keys, making macros, and linking games and applications with different keyboard profiles. Having played around with the K70 RGB Rapidfire for over a week I can comfortably say this is the perfect keyboard for not just gaming but also work. Coming from a keyboard with the full 2mm travel to actuation the shorter Rapidfire switches took a little bit of getting used to. After feeling things out, I took to it like a duck to water and now find my old mechanical keyboard is almost clumsy to type with. 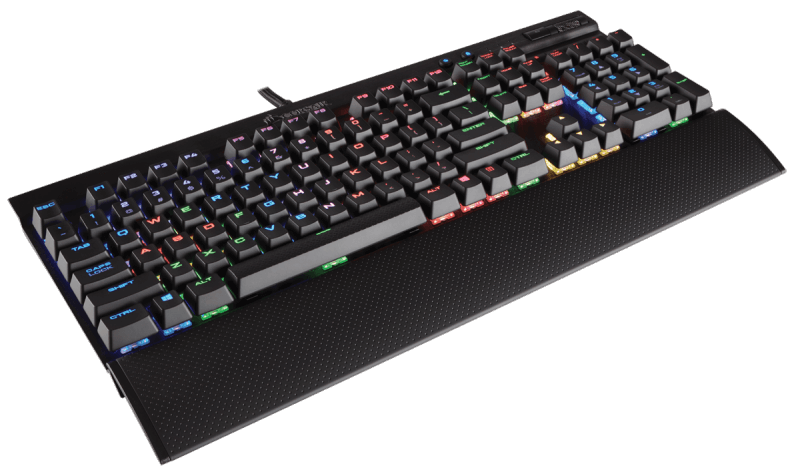 Customizable and snappy, Corsair’s K70 RGB Rapidfire keyboard gives gamers what they want. The Corsair K70 RGB RAPIDFIRE has dazzling RGB lighting is a very capable gaming keyboard with slick media controls, but its RAPIDFIRE switches were too sensitive for my tastes, so I'd actually prefer the regular, or Lux version with its longer actuation distance. Also, though I liked the aluminum body and found it to be sturdy, the plastic feet and wrist rest were not. The buggy and unintuitive CUE software was also a pain to use. 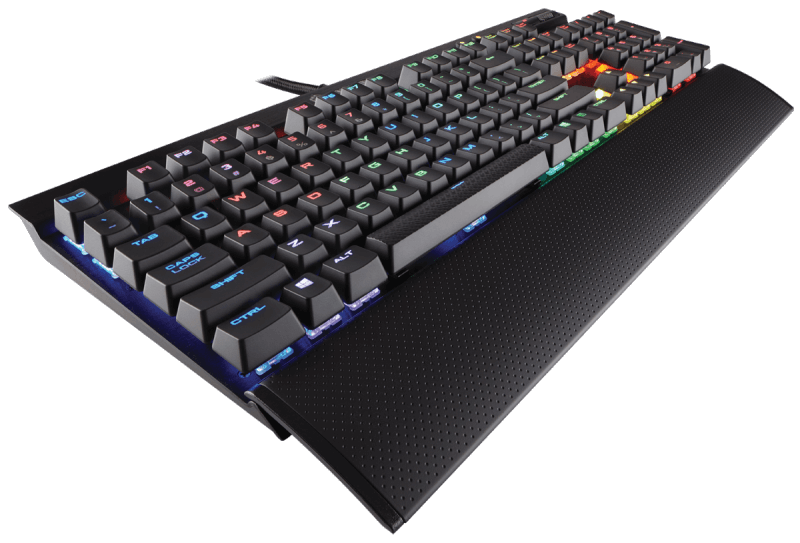 Aside from the slick new switches then there’s not really anything else new to the K70 Rapidfire recipe, but if it ain’t broke – and is generally outstanding – then why fix it? If you’re looking for a new mechanical switch board, and like the idea of your fingers leading a lighting-quick, blurry foxtrot across the keys, then the K70 Rapidfire is a great option. Especially without the extra expense, or aesthetic bloating, of all that RGB nonsense. One of the best keyboards to ever come from CORSAIR and certainly the most enthusiast-focused offering of the lot. 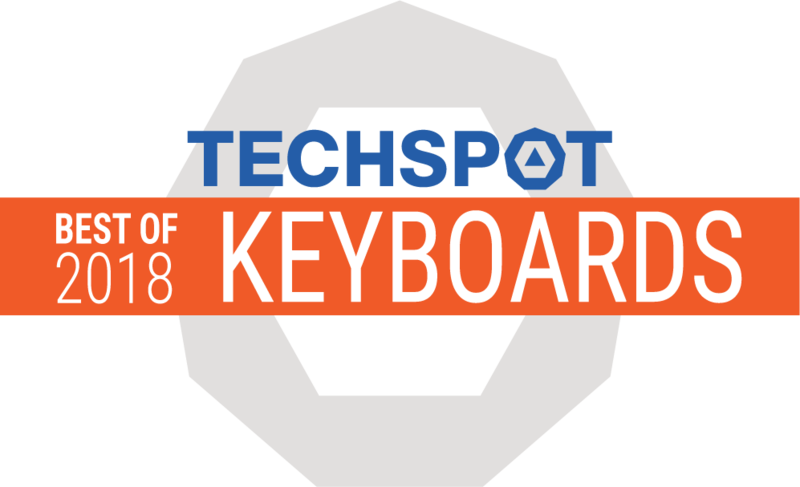 Sure, it does not have dedicated macro keys, no in-game dynamic backlighting support, no headphone jacks – but if they are not important for you, then there is nothing else to stop you from grabbing this awesome keyboard. With only some months left before the end of the year, Corsair K70 RGB RAPIDFIRE can definitely be the best mechanical gaming keyboard in 2016. The bottom line is, if you want to gain an edge in your gaming, these new RAPIDFIRE switches just might be what you need, as they are noticeably faster than just a normal Red switch. But there is more to this keyboard than just a fancy, high performing new switch technology. 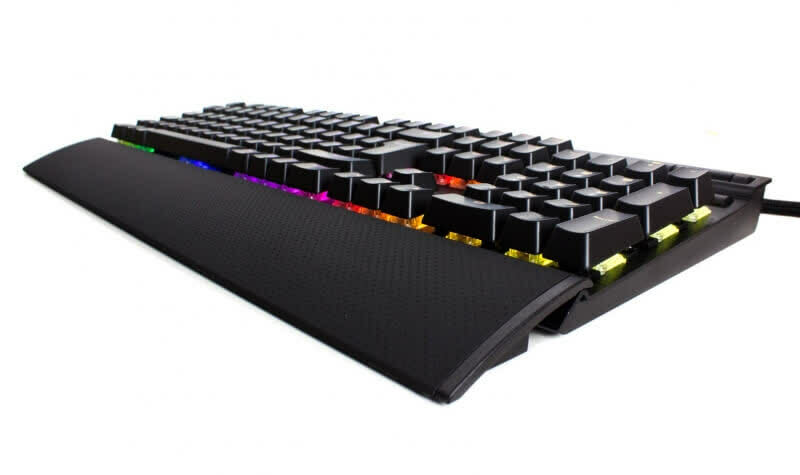 This theme continues to the rest of the keyboard, from the RGB lighting, to the premium wrist rest, or the rugged-looking knurled aluminum volume knob. This is the keyboard that truly has it all. Overall, the K70 RGB Rapidfire is a really great mechanical keyboard. I was really pleased to see the return of the USB pass through, and the large detachable wrist rest is solid. The Cherry MX Speed switches are very cool, and it does feel very fast to use, although you’ll want to be a fan of the Cherry MX Reds already to really enjoy this keyboard. The Corsair Gaming K70 RGB RAPIDFIRE brings much appreciated improvements to the backlighting on top of accrued improvements of the CUE settings software. The Cherry MX Speed Silver switches are an improvement over the Cherry MX Red switches in just about every way. The RAPIDFIRE variant ultimately sees nothing change, only the technology platform in the form of the quick MX Speed switches. So with that in mind, the Corsair K70 RGB RAPIDFIRE has earned our Excellent Hardware Award.